The American Daylily Society maintains a list of places to buy daylilies - both old varieties and cutting-edge introductions. 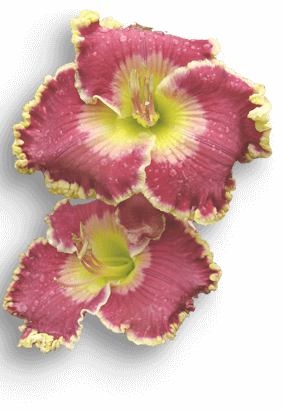 This list is updated annually, being published as a supplement to the Daylily Journal, and it is also available for download using the button below. The American Daylily Society (ADS) annually publishes a list of commercial daylily growers in the Spring issue of the Daylily Journal. Each source listed publishes a price list or catalog from which daylilies may be purchased locally or by mail. The type of catalog and its cost are listed after each entry. Sources that ship overseas are indicated by an asterisk (*). Concerning overseas shipments: Individual dealers should be contacted for catalog prices, overseas shipment costs, and price of phytosanitary certificate. The growers contained on this list have paid to be included herein. ADS DOES NOT WARRANT THE PERFORMANCE OF ANY GROWER, OR THE PLANTS PROVIDED BY SUCH GROWER. Any warranty that may be provided will be provided by the grower. Please check with the grower to determine the grower’s warranty and/or replacement policy. To help you locate a daylily source near you, the ADS has divided the US and Canada into regions. For information about regional sources, visit the Region Details page and select the desired region. Commercial growers are welcome to request to be added to the list. Click the button below to submit your request to be added to the Source List.